NEW YORK — "Once you walk through that door, you will be in Syria." That's the instruction a guide named Thea gives before entering the animated virtual reality installation "Hero," one of the immersive selections competing in the Tribeca Film Festival's Storyscapes section. Once suited up with a headset and backpack and told to close your eyes, you're walked into a room where a combination of VR animation and sensory effects plunge you into a Syrian village. Raise your hand, Thea says, if the experience is at any point too overwhelming. At first, the scene is peaceful. A radio plays. A dog barks. A child is called home. Then a helicopter passes overhead and, in a moment, all is turned to carnage. The explosion ripples through you with not just a glaring flash but a thunderous sound, a shaking floor and a hair-raising blast of air. Before you have composed yourself, a voice calling for help filters through the rubble. It's up to you what to do next. 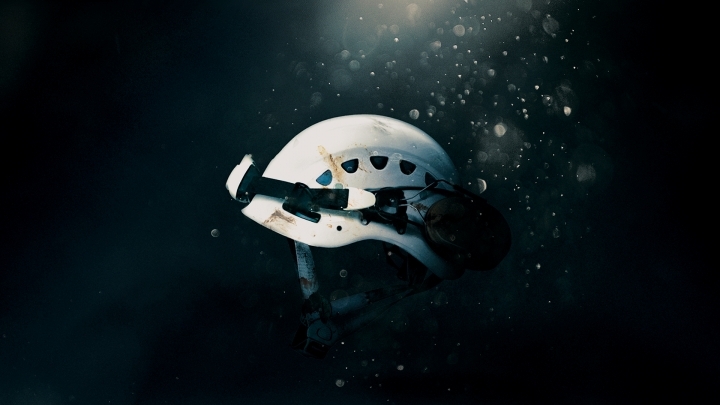 "Hero" hopes to, through the most cutting-edge technology, make a faraway tragedy jarringly tangible. "The things that you read in the paper, that you hear in the news, you have the ability to click away from. This is the first time that you're actually experiencing it full on. It will change the way that you see these tragedies play out," says "Hero" co-creator Navid Khonsari, an Iranian-Canadian. "Maybe it's this kind of experience that can make us more human." Crafted by gaming design veterans from "Grand Theft Auto" and "Max Payne," Khonsari's collaborators include his wife, Vassiliki Khonsari, and Brooks Brown. But "Hero" isn't alone as a Tribeca standout that provocatively places users in positions of power, of choice. In "Terminal 3," you are an American immigration official interrogating Middle Eastern travelers, represented in hologram. Both exhibits meld the virtual with the physical. "This year, we definitely recognize that creators are looking at real-world issues with a new sense of urgency," says Loren Hammonds, a Tribeca senior programmer. "It's always been effective to bring people to different places in VR. But the level of immersion that you get with something like 'Hero' or the level of discomfort you may have with 'Terminal 3' is something that's totally new and revolutionary." There are some forerunners to these works, most notably Alejandro Inarritu's "Carne y Arena" ("Virtually present, Physically invisible"). The filmmaker's acclaimed multi-room VR exhibit, which has toured globally since last year debuting at the Cannes Film Festival, ushers individuals through the experience of Mexican immigrants attempting to illegally cross into the U.S. The technology, Inarritu has said, has the possibility to conjure "emotions or sensations that are sometimes hard to express." 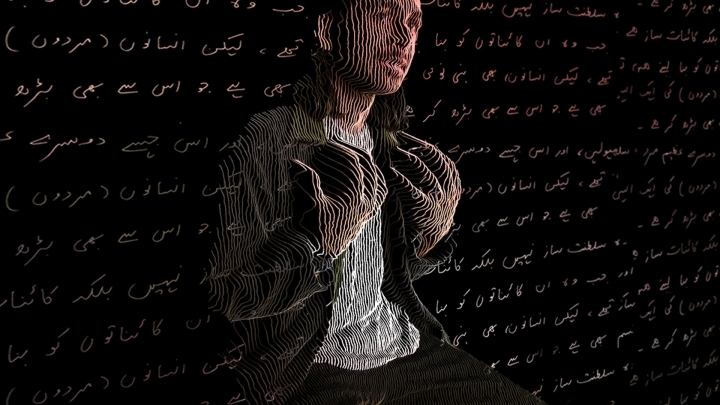 "Terminal 3" creator Asad J. Malik was born in Pakistan before coming to the United States for college, and eventually embarking on a career in augmented reality. His "Asad and Assad" explored the Muslim experience in America, also through holograms. "Terminal 3," he says, grew out of his own experiences being interrogated at customs in Abu Dhabi, traveling from his hometown of Abbottabad (the northeastern Pakistan city where Osama bin Laden was killed). "I enjoy these things, surprisingly. Someone is being paid to listen to you attentively. Now you've got to tell your stories," says Malik. "It's such an interesting moment when two people sit down in this institutional setting with a massive power dynamic, and one person's trying to get know what the other person is about. The questions can get personal." Housed in drab, white rooms that mimic customs offices, "Terminal 3" — which uses the Microsoft HoloLens — gives participants choices in questioning their subject, and ultimately the yes-or-no of whether to allow the person into the U.S. Once the interrogation is completed, you turn the corner to find the real person behind the hologram, sitting there patiently. In a handful of footsteps, "Terminal 3" travels from abstraction to reality. Neither "Terminal 3" nor "Hero" are particularly portable. Both are large, site-specific installations. Malik and his team crafted 67 holograms for the project. He was hoping to have all 67 flown in for the festival. "It's a logistical nightmare," he sighed. "But it's totally worth it." Stillsurge is a home for individuals to find the latest day-to-day Science and Technology news which electrify and empower their knowledge. Copyright © 2015 - 2019 Still Surge. All Rights Reserved.